If you felt like Google clubbed you over the head with tons of announcements and releases last week, you're not alone. Between giving out the codename for Android M, a new preview release, an Android Wear update, and about a dozen other things, it was a huge week. 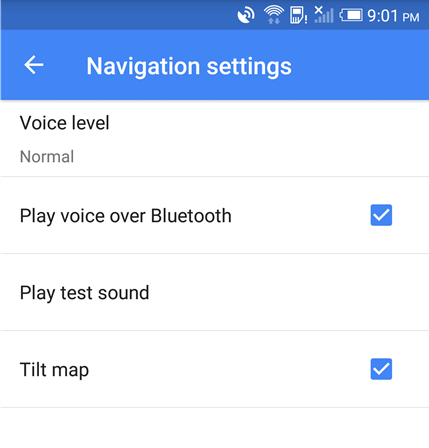 Toward the end of the onslaught, a fairly innocuous update to Google Maps bumped the version up to 9.13 and it has a couple of useful shortcuts that deserve a look. There's also a new Google app, but it's not in the Play Store, and that deserves a Teardown-style discussion of its own. See where you’re going before you leave with a Street View thumbnail on the map (for address search or tap and hold on map). Do you know of a hot new business that just opened? 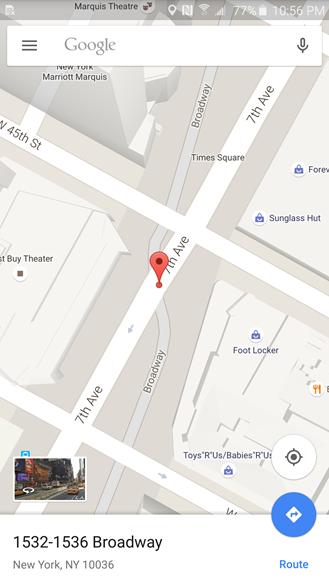 There's a chance even Google Maps hasn't picked up on the buzz (no pun intended). Now you'll have to do a little less hunting to find the 'Add a place' screen. The navigation drawer is now equipped with an option called 'Add a missing business' near the bottom of the list. 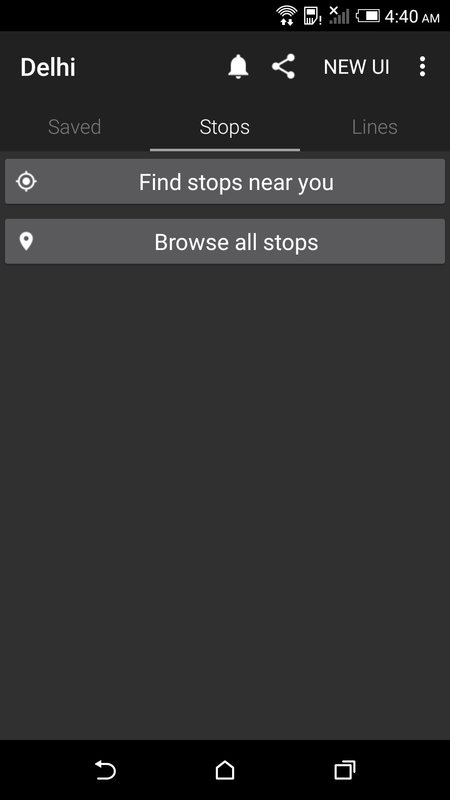 This is a more visible, and possibly more convenient alternative to placing a pin (either with an address or long-press), tapping on it, then hitting the not-so-noticeable 'Add a missing place' option at the very bottom. It's not that important, but it's worth noting that this seems to be a bit of a fib in the changelog above – the "Add a missing business" was not delivered with v9.13, but actually turned on by a server-side switch. Don't be too surprised if you have v9.12 (or maybe lower) and you see this in the nav drawer. Another useful shortcut has been added, this time for Street View. If you've got a pin somewhere on a road that has been extensively photographed by one of Google's Street View cars, a thumbnail will show up in the lower left corner of the screen. Tapping the image will obviously open the standard photosphere-like view. This process is one whole tap less than the previous path which required first tapping on the pin and then tapping the header image, but the thumbnail saves us from a screen change and having to remember the header image actually does something if tapped. 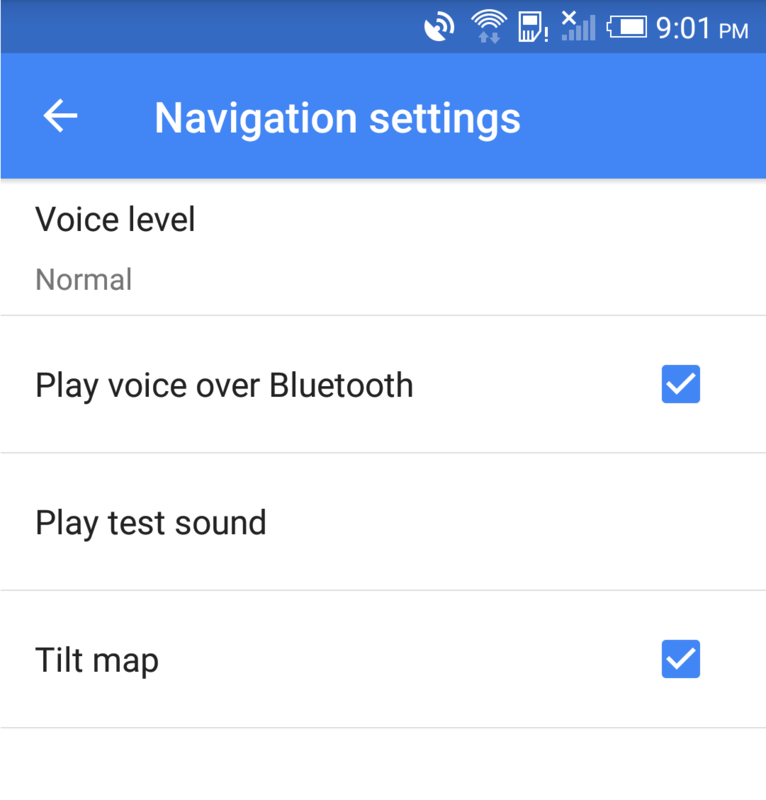 Finally, if you go wandering through the Settings screen and dip into the Navigation settings section, you'll find a new command called 'Play test sound' with the sole purpose of playing back the turn-by-turn voice. It's there so users can experiment with volume levels before hoping in the car so there's no reason to fiddle with it while driving. At least that's the best reason I can think of. 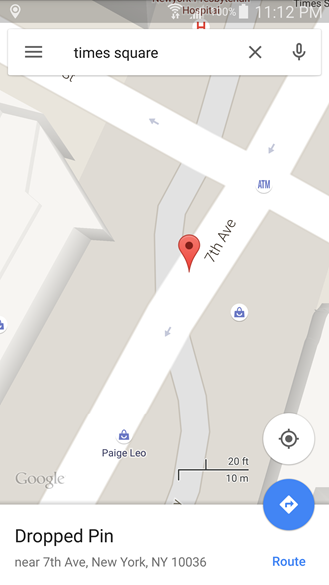 Last month, a few unusual strings turned up in the v9.12 release of Google Maps. They were prefixed with the codename "gnobu" and described an app with the purpose of displaying routes and times for public transit in the city of Delhi, India. The most unusual part was a url pointing to an actual apk stored on Google's CDN servers. 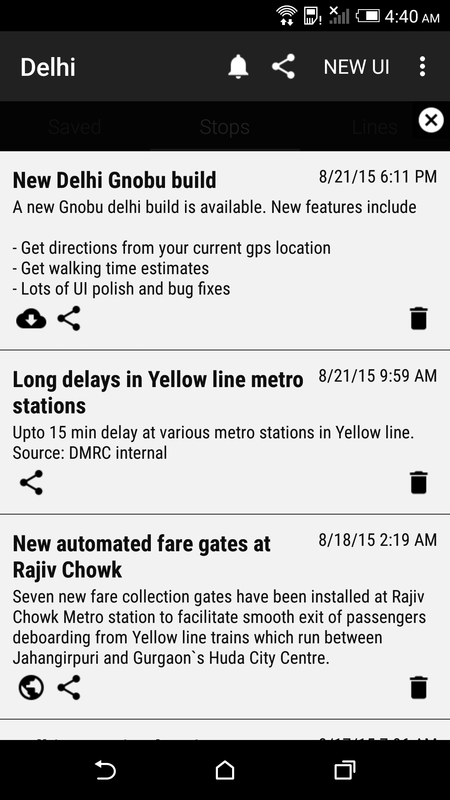 The filename is simply delhi_transit.apk, but the full package name is com.google.android.apps.geo.briim.gnobu and it weighs in at just under 1 MB. 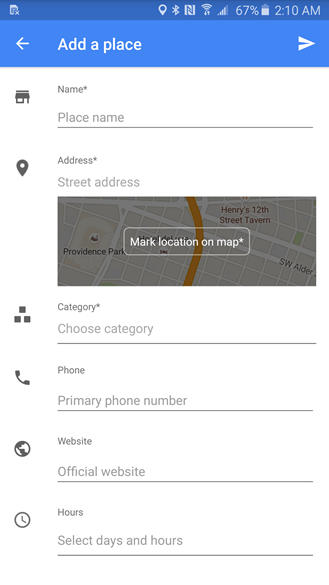 Given that a known Google app –Maps– is linking to this one, it seems like a safe bet that this apk is genuinely made by Google. I'm not sure what the 'briim' or 'gnobu' names represent, and my attempts to search for them haven't turned up any meaningful results. 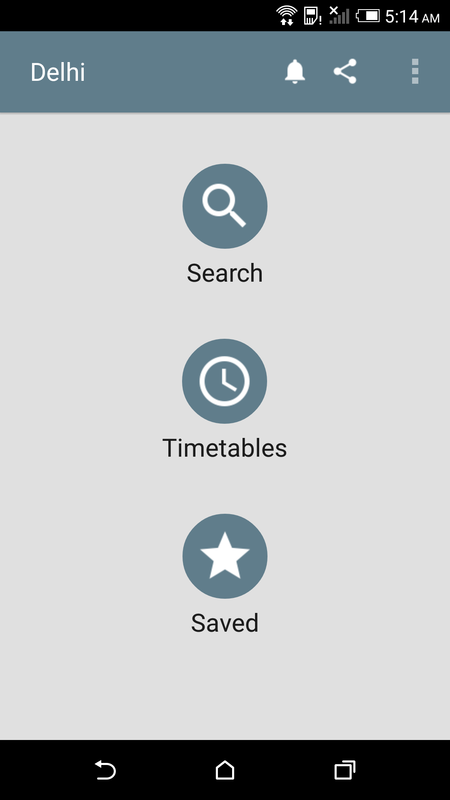 There's not much to say about the app in the way of features or styling – it's pretty bare bones, but it's a simple schedule viewer, so it doesn't have to be that elaborate. 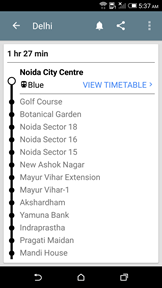 The UI allows users to drill down into transit lines and stations to find times for each train and bus. 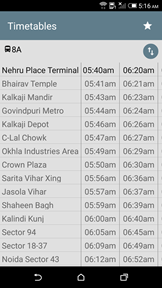 There's also a search function that accepts a starting point and destination, then provides the list of stops and times for each departure. 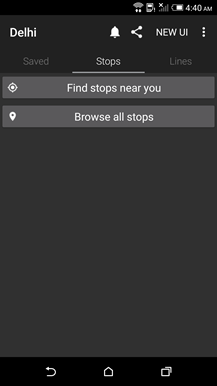 I've left the app installed on a phone for the last few weeks and received a lot of notifications with information like changes in various stations, delays, and a few other things. Some of the news is helpful and might encourage some people to change their routes, while other reports have been about things like new card reader terminals. 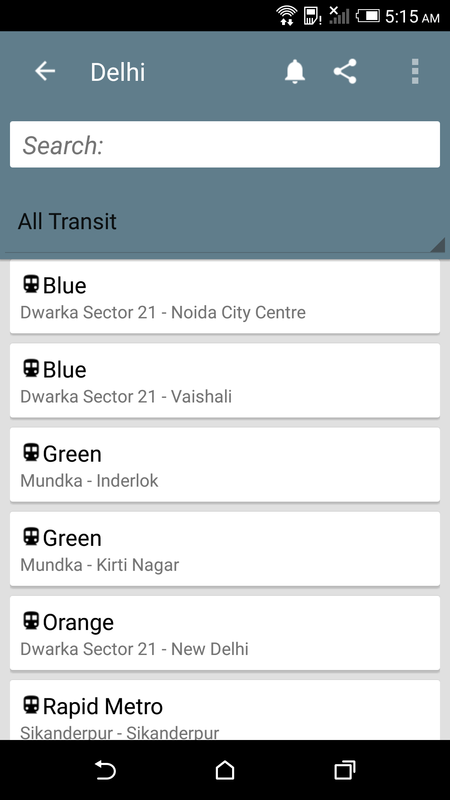 Screenshots from the first version of the delhi transit app. 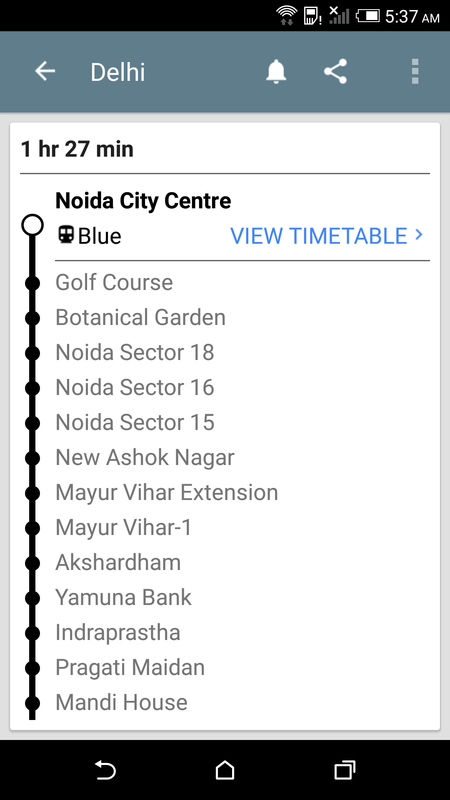 The initial version of the app lacked a lot of polish, but it included a button titled 'New UI' that opened up to a somewhat more updated and stylish interface. 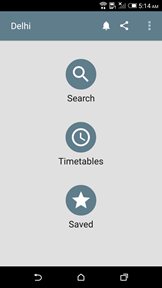 The latest version of the apk (as of a couple days ago) has abandoned the old look entirely and continued to refine the style. I mean no offense to the developer(s), but this app is far from Material Design, and in some cases it even seems to draw inspiration from the Gingerbread days. 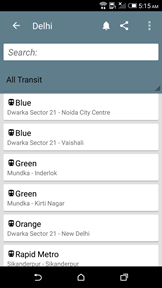 I assumed the app spawned from a decision to work on support for Delhi's transit system in a separate project before integrating it into Maps. With the latest update, there are signs that some kind of progress has been made, but it's not playing out quite the way I would have expected. The gnobu strings have vanished, and in their place are a few new strings for directing users to try out the app, but there's no description text and even the download location is gone. It's not even clear if the Maps team has started inviting a larger group of users to try this app; it may just be for their own team and a select few trusted testers. 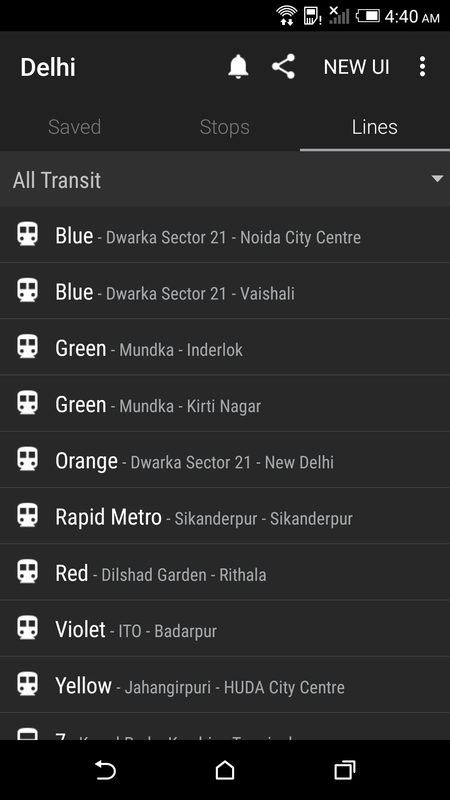 The icon from the Delhi Transit app has also been brought over to Google Maps, along with its dogfood badge. 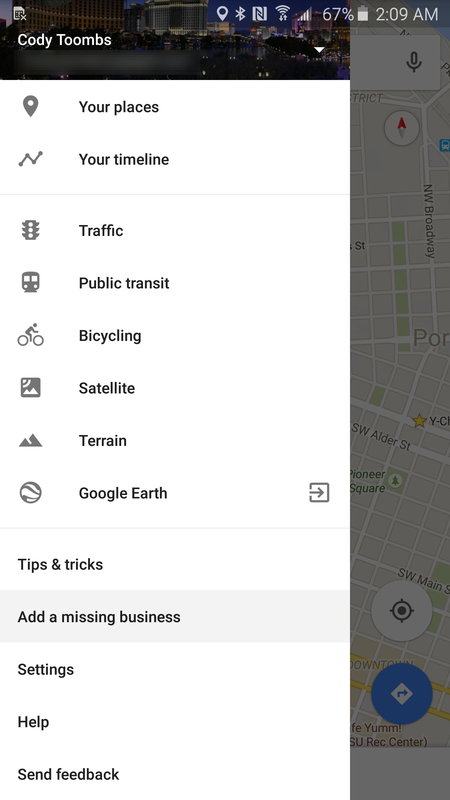 For now, there aren't really any other details to speak of, but it's fairly clear Google is ramping up efforts to make Maps (and other services) more useful to regions outside of the US and Europe. 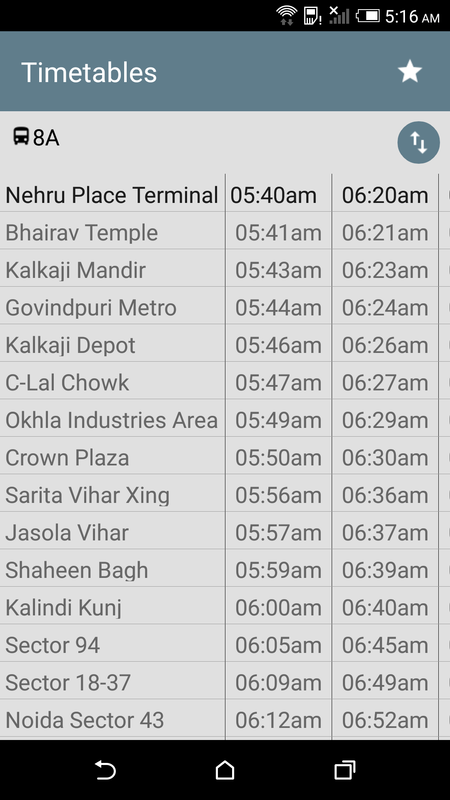 With the expansion (and success) of Android One in India, it makes sense to cement Google Maps as the best tool for getting around in some of the most populated and congested cities in the world. 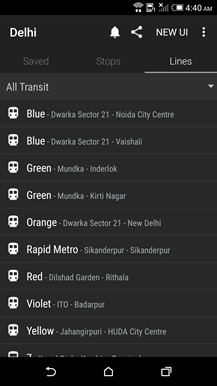 At this point, it seems like the data for Delhi's transit system is coming through without a problem, so I'm not sure why the functionality isn't making its way into the primary Maps app. Perhaps I'm missing something because I don't live in the area, so any locals with some insight are welcome to speak up in the comments.